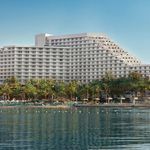 It has the same balconies they all boast with heart-stopping views of surf, sand and Jaffa to the south, the same bountiful breakfasts for which Tel Aviv beach hotels are famous, but a new level of sophistication brought by British operators Isrotel. For a start, there’s the art – not just pictures on the walls but gorgeous bits of sculpture or antique fragments lighting the way as you emerge from the elevators on every room floor. And for another thing, kosher fine dining; the West Side Restaurant, presided over by Eitan Mizrahi, who also feeds Israel’s football team, is one of the city’s finest chefs. The hotel’s location at the southern end of the metropolis is ideal, steps from the beach in one direction and the lively dining and shopping neighbourhood of Neve Tzedek in the other. Only gaining access feels counter-intuitive; instead of a grand entrance off the prom, the building is accessed from a back road running parallel. 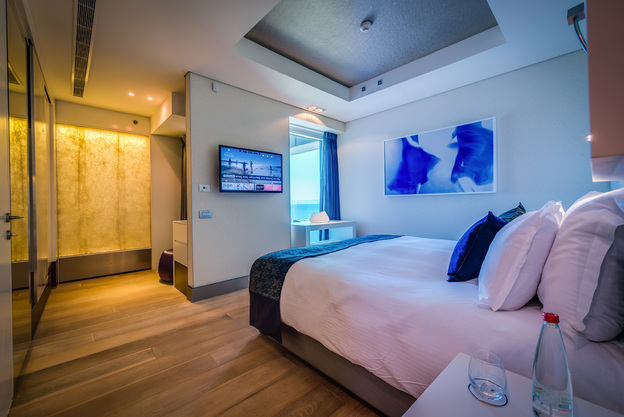 The rooms, by star interior decorator Harald Klein, are elegant but understated, wood floors and arty statement lighting panels lending an edge of modernity missing from older Tel Aviv beach hotels, some of whose decor is looking distinctly dated. There is a large swimming pool and fitness centre on the mezzanine,and at lobby level an inviting lounge studded with art objects which has established itself as a metropolitan meeting place. The West Side restaurant is accessible from the promenade as well as the hotel during opening hours, and a great place to start the day with one of the best breakfast buffets in Tel Aviv. Dinner specialities include a great fish tartare with cucumber gazpacho and a killer veal chop, served in an airy room awash in green glass which feels intimate and refreshingly unlike a hotel restaurant; indeed, more than 50 per cent of dinner guests are non-residents. Considering the level of luxury rates are enticing, especially since unlike many other hotels in Tel Aviv still stuck in the dark ages, the Royal Beach offers free wi-fi. Boutique hotels, all the rage now with leisure travellers, offer more serious competition than the neighbouring beach monoliths, but what the Royal Beach has over the boutiqueries is a huge swimming pool – and the balconies from which to enjoy those heart-stopping views. 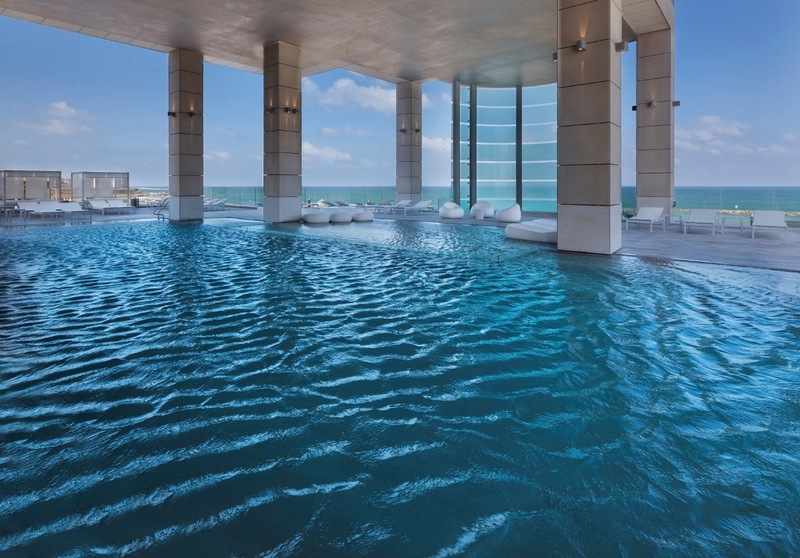 Monarch serves Tel Aviv year-round from London Luton from £168 return.